Better blog posts will result in better engagement from prospective customers. They help readers to focus on your message. They also inspire brand loyalty and encourage higher share rates. AI Tools can improve the quality of your writing. Grammarly is a well-known example of an AI tool that has been developed to proofread and improve bodies of text. The main benefit is obvious: Grammarly will highlight spelling mistakes and poor use of grammar. However, it has the added capacity to make semantic suggestions based on your tone of voice and writing style resulting in copy that captures and holds the attention of your readers. Proofreading aids are especially valuable to individuals who often work under time constraints. They take the pressure off people in the editing stage and enable writers to focus on the more complex issues in a b2b marketing blog. AI enables marketers to do more with less. Improving the quality of your writing will also bolster your search engine rank by reducing page bounce. Better SEO makes it easier for other buyer personas to find and enjoy your blog post. One of the first and most fundamental steps in an inbound marketing strategy is developing buyer personas for your business. The aim of this is to help your team deliver the right content, in the right place, at the right time, to a targeted selection of readers - readers who represent potential buyers. How do you source and qualify topics for a b2b marketing blog? AI can unveil detailed insights surrounding your competitor’s online activity. For example, Crayon is a platform which uses machine learning to provide practical insights for your marketing team. It does so by analysing the digital footprint of your competitors, partners and customers. This marketing tool processes information gleaned from seven million sources and surveys over 100 different types of online data. The sheer volume of information analysed would be an impossible task for marketers to match - by the time an individual got through the list, their data would already be old and redundant. Using AI to handle data based tasks frees marketers up to do more with their day. Artificial intelligence can track changes over time. Crayon uses AI to sort, prioritise and display the most meaningful insights. From the data provided, your company can learn about your competitor’s content strategy, and keep an eye on it as it transforms. Monitoring trends helps your company to consistently generate interesting, relevant ideas for your inbound marketing content calendar. Simply put, it can help you find blog topics. Real-time analysis keeps you ahead of the curve. By keeping abreast of developments in your industry, you get a sense of what matters most to your target audience. Incidentally, this can help you to identify material that is missing from your library of resources and also inspire research, reveal keyword potential and inform your promotional strategies. Crayon can be used in conjunction with HubSpot AI. Hubspot’s Content Strategy tool helps inbound marketers to uncover new content ideas by suggesting topic clusters to pursue and pinpointing the blog topics worth pursuing. Together, these platforms can supercharge your topic generation. You may already have an audience that loves your content. But how frequently do they visit, and how long are their sessions? To usher prospects along the sales funnel, visitors should be served with fresh, relevant content every time they visit your site. Organising personalised content campaigns is one way you can keep your readers engaged. Personalisation helps your business to serve relevant content that is suitable for a visitor’s stage in the buyer journey. An AI tool called Uberflip can assist you with this. Uberflip keeps a record of the topics you have written about previously. The AI then makes bespoke content recommendations to visitors based on what they previously engaged with on your site. Adaptive website content is a must-have for businesses trying to stand out online. Tailoring visitor experience is a scalable way of making sure each blog reader stays on-site longer. This is significant because every reader that engages with your post represents an opportunity to convert. AI tools can help you reign more readers in. Guest posts are a good way to demonstrate thought leadership and reach out to new audiences. Pathmatics can highlight potential partners. Pathmatics uses AI to collect and share digital advertising information from hundreds of brands. You are privy to budgets and campaign lengths, but more importantly, you can see where your most successful competitors advertise. One question you must have asked yourself during buyer persona development is where they congregate online. AI tools can reveal untapped potential. Artificial intelligence is transforming search results. Understanding this, and optimising your blogs in response will ensure you don’t get lost in the mix. Natural language processing enables voice-activated AI like Siri, Alexa and Google Assistant to “understand" queries and respond accordingly. This processing by AI is why natural, conversational language and the provision of accurate facts is so important. To boost your chances of getting found online, you need to optimise your blog. You can use Hubspot’s replacement for the keyword tool - the content strategy tool - to find long-tail, conversational phrases that include content keywords. HubSpot recommends finding relevant categories around a topic, a topic cluster to boost your blog SEO. Headlines can make or break a piece. If you are looking for ways to improve your blog title, headline analyser is an automated tool that can grade your attempt and highlight areas for improvement. Artificial intelligence tools can help you to maximise the effectiveness of your b2b marketing blog. 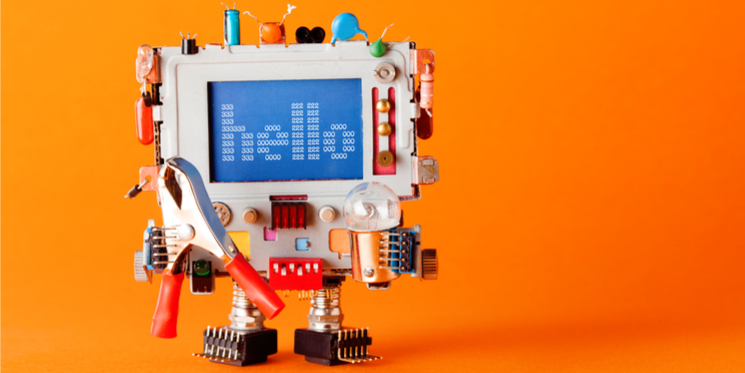 Whether you use it to hone your content, deliver personalised content campaigns, or find new horizons, AI is a marketer’s secret weapon.